If you are having trouble choosing appropriate courses, please contact your Academic Advisor. 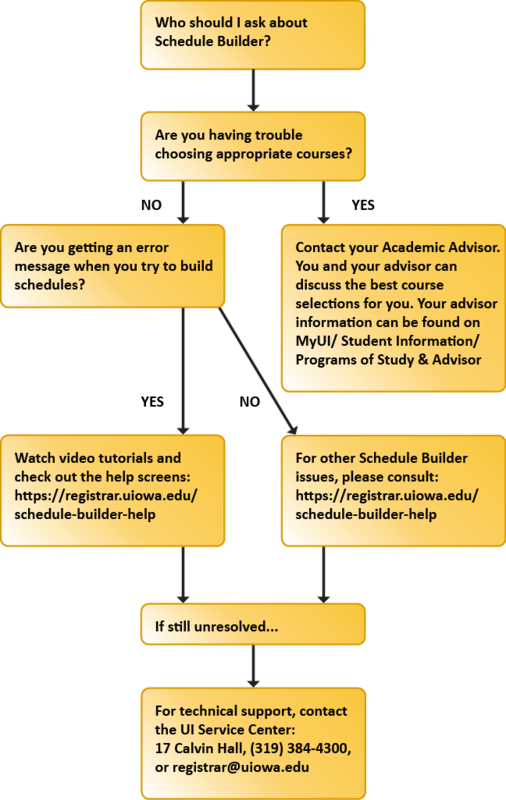 Your advisor information can be found on MyUI under the Student Information tab on the Programs of Study & Advisor page. If you are getting error messages or have other unresolved issues, please first consult the video tutorials and view the help screens. If your issue is still unresolved, please email the UI Service Center or call (319)384-4300.